Op 13 april 2014 is JacobienTravels in Het Reis Café in Amsterdam! Aan de hand van het thema Dieren Natuurlijk! brengen vijf gespecialiseerde reisorganisaties hun reizen onder uw aandacht, te beginnen met een aantal korte presentaties. Aansluitend kunt u met hen van gedachten wisselen over uw volgende reis en advies op maat krijgen. En dit alles onder het genot van een lekker drankje en hapje. Net terug van een indrukwekkende safari in het hart van India, zal JacobienTravels u meenemen op zoek naar de schuwe luipaarden en tijgers. India heeft veel te bieden op safari gebied en wordt een steeds populairdere wildlife bestemming. En het mooiste is dat een safari ook goed te combineren valt met bekende en minder bekende culture hoogtepunten. 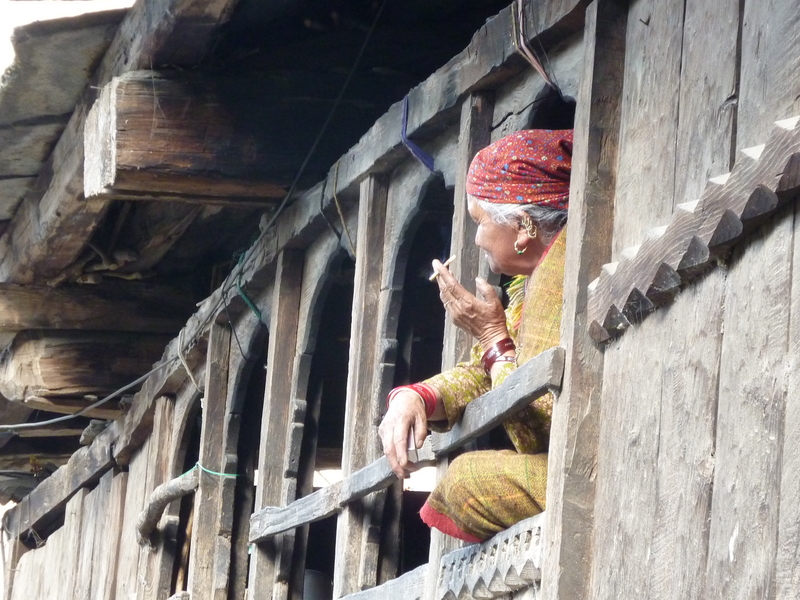 Experiencing village life in the foothills of the Indian Himalayas. India is so much more than its temples, mosques, tombs and forts; to really get to know India stay a couple of days in its rural villages. And what better place than with a view of the Himalayas? Manali in Himachal Pradesh is a lovely place to stay. Undergoing a transformation from hippie and backpacker paradise to one of North India’s chicest holiday spots, old Manali has mantained its old village feel. And the hip restaurant La Plage makes a good lunch stop on one of your walks. Or go to the lesser known Kumaon district in Uttarakhand and walk from village to village, stay in beautiful restored village houses and end the trek in amazing Shakti 360° Leti. Both regions can be reached from Delhi by car, train and flight (Manali only) and can be visited year round, although Shakti 360° Leti closes May-September. A great way to unwind from our frenetic world! If you are interested and would like more information, please contact me. In search of Indian Summer. Though well-known and undeniably beautiful, US’s New England doesn’t have the monopoly on leaf-peeping. There are more options to see and enjoy burning red-orange-gold forests and crunch through fallen leaves. But first what is Indian Summer? An early American writer described Indian Summer well when he wrote, “The air is perfectly quiescent and all is stillness, as if Nature, after her exertions during the Summer, were now at rest.” This passage belongs to the writer John Bradbury and was written nearly an “eternity” ago, back in 1817. Indian Summer can best be defined as any spell of warm, quiet, hazy weather that may occur in September and October (or even early November), depending on location and wheather conditions. And where does the term come from? Does it refer to the last hunt before winter of the early native Indians or did these Indians make use of the dry, hazy weather to attack the whites before the hard winter set in? During the years several theories have emerged yet none has actually been proven. So where to go for the best Indian Summer? Canada puts on quite a show and is as beautiful but less crowded than New England. In Quebec, Indian Summer arrives early, lasting 2-3 weeks from mid/late September to early/mid October. In Algoma county, northeastern Ontario, you can hop on a train and be treated to some of the most spectacular fall colour in North America.The leaves peak around the end of September and beginning of October. New England in the US is all about Indian Summer and picking the best place is tough. But anyhow, either go to New Hampshire’s White Mountains to see some brilliant red maple leaves or, closer to New York, the Catskill Mountains – where those in the know go to fish, hike or meditate (there are three monasteries – two Tibetan and one Zen) in a countryside fiery with colour. Closer to home, visit the pretty town of Cesky Krumlov in the south of the Czech Republic and go for a hike in its surrounding parks and forests. Or head to France to see vineyards in autumn colours, while nipping your glass of the local nectar. In Japan autumn spreads from north to south during the month of September. Mount Norikura in the northern Japanese Alps is one of the first places to see the autumn colors. Nara, the first capital of Japan – near Kyoto – also makes a great Indian Summer spot. Photos: Nara Park, Tanzan shrine and autumn colored Norikura by Hiroaki Kaneko. Enough to not despair. Go and enjoy autumn, a last coulorful burst before the cold winter starts. PS – I meant to credit all photographers of the pictures used, but – despite my best efforts – I have not been able to find all the names and licenses. If they’re yours, I’d love to add your name, or I’ll happily take them down – whatever you prefer. Istanbul – exotic, wonderful Istanbul. September is the perfect month for city trips in and around Europe and Istanbul is among my favourites. And now a major exhibition of Anish Kapoor (opened on Sept 10) adds to the lure of Istanbul. Built on seven hills (all topped by a mosque), the city has been the capital of the Roman, Byzantine and Ottoman empires and bridges the cultures of the Orient and the Occident, both physically and metaphorically. The center of Christendom for over 1000 years and Islam’s seat for another 500 years, it has been a crossroad for trade routes in all directions. Of course you have to visit the famous Topkapi Palace, Blue Mosque and Hagia Sophia, but do check out some of the lesser known sights: the Basilica Cistern, a sixth century underground water reservoir, charming Ottoman Rüstem Paşa Mosque, famous for its large quantities of exquisite İznik tiles and the Dolmabahce Palace, a sumptuous palace showing off the decadence of the 19th-century Ottoman Empire (and the place where Ataturk died), with fantastic Bosporus views. See the city from the water, either on a Bosporus cruise or just do what the Istanbullians do and hop on a ferry to the Prince’s Islands. Wander through the Grand Bazaar (1461) – the sight of the crazy motorbike chase in Skyfall – with more than 50 streets of jewelry, textiles, leather, pottery and tiles, and the Spice Bazaar (1663), originally a stop for camel caravans on the Silk Road. Add a touch of modern art and visit the first major exhibition of Anish Kapoor in Turkey at the Sakip Sabanci Museum. The exhibition (from Sept 10, 2013 to Jan 5, 2014) is the first to focus on the artist’s stone sculptures in marble, alabaster and materials, many of which have not been seen in public before. Finish the day in one of Istanbul many clubs, the town’s hotspots with great views of its skyline and the Bosporus. Fernando de Noronha, Brazil’s eco wonder-island, with beautiful beaches and soothing warm waters filled with dolphins and sea turtles. Photo’s Fred Schinke and Paula Cristina (on the right). The archipelago of Fernando de Noronha is a UNESCO World Heritage Site and lies 345 km off the northeast coast of Brazil.To preserve the unspoiled environment and its delicate ecosystem, only 420 tourists are allowed on the island at any one time, guaranteeing empty beaches and tranquility. August sees the end of the rainy season and nature is in a state of overdrive with explosions of greenery. But the best of Noronha is to be found on and under water. With visibility up to 50 meters and more than two hundred species of fish, five shark species, sea turtles and dolphins., the island is a mecca for divers and snorkelers. And when the sea gets rough, surfers flock to the island. While some of Brazil’s top beaches – Praia do Leão, Baía dos Porcos and Baía do Sancho – can be found on the island, the big draw are the resident spinner dolphins – they jump out of the water and spin around in acrobatic spirals – that turn up every day in their hudndreds at surnrise in Dolphin Bay. They swim inside the bay, where the sea is calm and protected, for resting, reproducing and suckling and in the afternoon move again to the high sea in search of food. Would love to see this! A small paradise on earth, where even the sharks are said to be friendly!